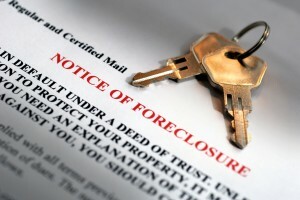 Need to stop your home foreclosure? A Chapter 13 bankruptcy is a way to consolidate debt and pay it off over three to five years. All debt must be consolidated if you can qualify and decide that this is the best path for you and your family. Often this is a better option than a simple “debt consolidation plan” that does not take advantage of the bankruptcy laws - more kinds of debt can be consolidated in a Chapter 13 and when it is over, you have the advantage of a court order, or “discharge”, to be sure that your debt is taken care of and completely wiped out or eliminated. It may be necessary for you to file a Chapter 13 if you earn over the median income. In Washington, the median income as of May 1, 2013 is $52,724 for a household of one, $65,123 for a household of two, $71,123 for a household of three, $83,270 for a household of four. If your income is this high, you must submit to a means test to determine how much you will pay into a Chapter 13 plan. The means test deducts expenses set by the IRS code along with some other expenses based on what you actually spend. Any money left over in the means test goes to your unsecured creditors – creditors such as medical debt, signature loans, payday loans, student loans and credit cards. The percentage these creditors are paid is based on how much they receive over the five-year plan. They are paid after secured creditors like mortgages and car loans and priority creditors such as back child support and taxes. Even if you pay a high percentage to unsecured creditors, which could be up to 100%, this plan is a better option than trying to consolidate yourself. A Chapter 13 is predicable, eliminates interest and late charges, can be modified after a drop in income and creditors have to obey the laws so they can not pop up years later and claim they didn’t receive anything. Once they get notice, they just file a claim in your case. If they ignore it, the debt is discharged without payment. Chapter 13 is much more complicated than Chapter 7 and debtors who try to do it themselves rarely confirm their case and must start over. Though it is more complicated, it’s better than being garnished and can provide some powerful solutions to more complicated situations. In a Chapter 13, a trustee is appointed to collect monthly payments and distribute these payments to creditors. A three to five year plan is proposed. The trustee uses this plan to divide up the payments to creditors. The debtor meets with the trustee at a “meeting of creditors”. The debtor’s attorney attends this meeting with the trustee. Creditors have the right to appear but rarely do so. At the meeting, the trustee will swear the debtor in and make sure the information on the bankruptcy forms is correct. The trustee will also examine the plan to make sure it complies with the law and treats creditors fairly. After the meeting of creditors, the plan must be confirmed by a bankruptcy judge. Creditors or the trustee can object to the plan to ask that more money be paid to creditors. The trustee carries a lot of weight in bankruptcy court but the judge makes the final decision. A good bankruptcy attorney will make sure the debtor is getting the best deal possible and may have to argue the case to the bankruptcy judge at the confirmation hearing. Even if arguing the case is necessary, it is rare for the debtor to have to attend this hearing. Debts are paid through the plan according to their priority. The first priority is secured debt, such as mortgages, car loan and loans used to purchase a big-ticket item such as furniture or appliances. The plan allows a debtor to catch up on mortgages over five years but the debtor must keep making current payments on the mortgage as well. Car loans taken out over 2 ½ years ago can be “crammed down” or paid in the amount that the car is worth. Car loans can also be spread out over five years, which can make them more affordable. Second in line to be paid is priority unsecured debt: most commonly, back taxes and back child support or alimony. These debts must be paid in full by the end of the plan. The last in line to be paid is non-priority unsecured debt, such as credit cards or medical bills. These debts are only paid a percentage based on how much the debtor can afford. Even if a debtor’s income is so high that these debts must be paid in full, a Chapter 13 offers a better option than each creditor lining up to garnish 25% of net wages, one after the other, until all debt, legal fees and interest are paid. A Chapter 13 allows a debtor to be sure that the payment plan will not last more than five years. Whatever debt is not paid through the plan is discharged, or cancelled, unless it is specifically exempt from the discharge by law. Examples of debt that cannot be discharged include some back taxes, child support or alimony and fines. A Chapter 13 discharge is broader than a Chapter 7 discharge - one example is marital debt (such as joint credit card debt) that the debtor was ordered to pay in a divorce (other than domestic support obligations such as child support). It is extremely difficult for a Chapter 13 debtor to confirm a bankruptcy plan on their own. In our experience, most plans filed without an attorney fail. An experienced bankruptcy attorney can also fight creditors and the trustee in bankruptcy court to keep the payments as low as possible. To find out how we can help you free yourself from overwhelming debt, contact our Washington state bankruptcy lawyers today.